Italian Anise Cookies!! 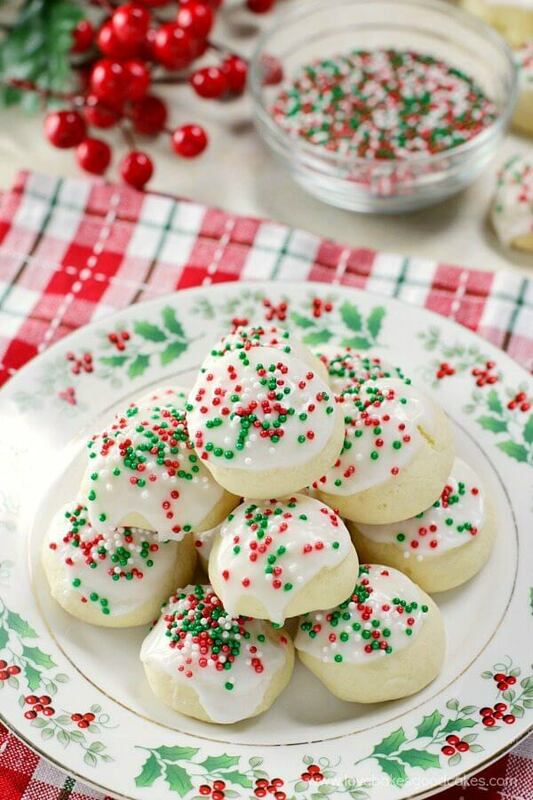 These cookies NEED to be on your holiday cookie tray! Not a fan of anise? Use your favorite extract for a new flavor! You guys! These cookies are so soft and delicious! They’ve been a staple in our family since I first made them about 20 years ago. Of course, you’ll want to share these amazing little treats! 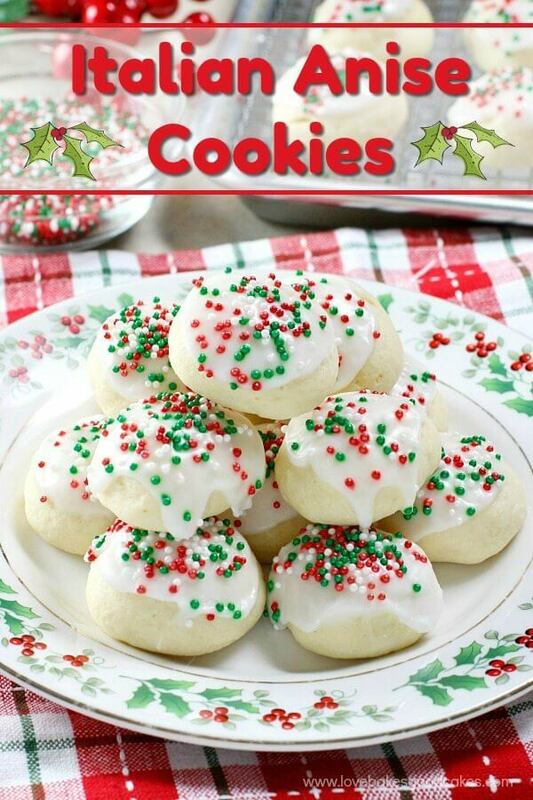 They make great neighbor gifts … or would be great on a cookie tray with other cookies or candies. Anise, in case you don’t know, tastes like black licorice. From what I understand, some people really love the flavor – and others, not so much. I don’t think there’s any middle ground on that flavor. Personally, I love these cookies – they’re a real treat for Christmas. We even make them for Easter sometimes! I love all of the tasty treats this time of year! Cookies and yummy desserts seem to be flooding the blogging world! I really love to share traditional Christmas Cookies and I especially love ones that maybe aren’t shared often by others. It’s a good thing most of that is in virtual life – looking and drooling is calorie-free! 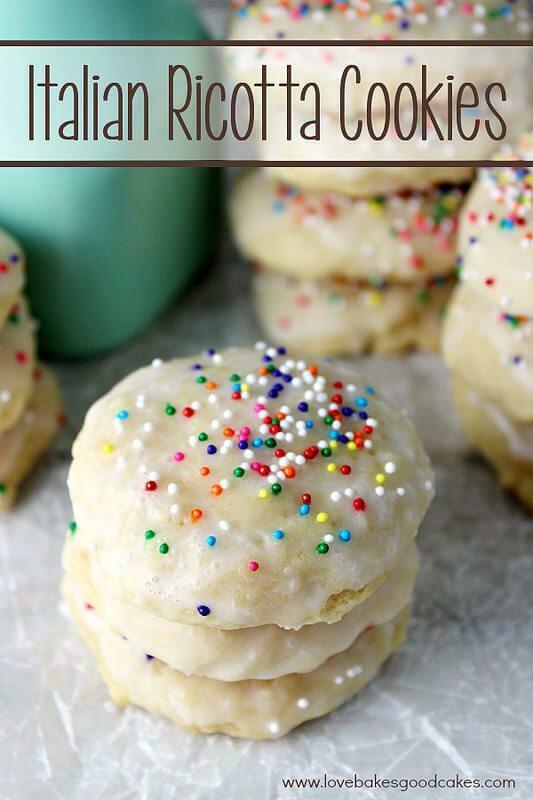 😉 These Italian Anise Cookies are super easy and so soft! I love how puffy they are! If you’re not really a fan of black licorice, feel free to substitute your favorite extract flavor in place of the anise extract! 😊 Be sure to use a regular teaspoon to measure out the cookies. You will want a slightly heaping scoop. For smooth cookies, be sure to roll the dough into balls. 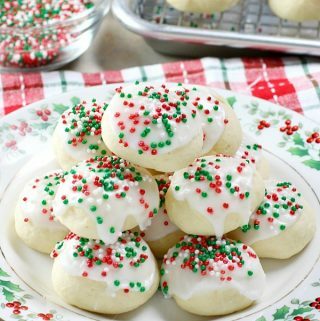 When you dip these cookies into the glaze, you’ll want to add the nonpareils right after – this glaze is thick and hardens up fairly quickly. Beat the sugar, butter, eggs, milk and anise extract in a large bowl with a mixer until well blended. On low speed, beat in the flour, baking powder and salt until well blended. Drop by rounded teaspoonfuls 2 inches apart onto the prepared baking sheets. Bake 8-10 minutes or until the bottoms are a light golden brown. Remove cookies to a wire rack to cool. Prepare the glaze: Whisk the powdered sugar, milk and anise extract in a small bowl until smooth. 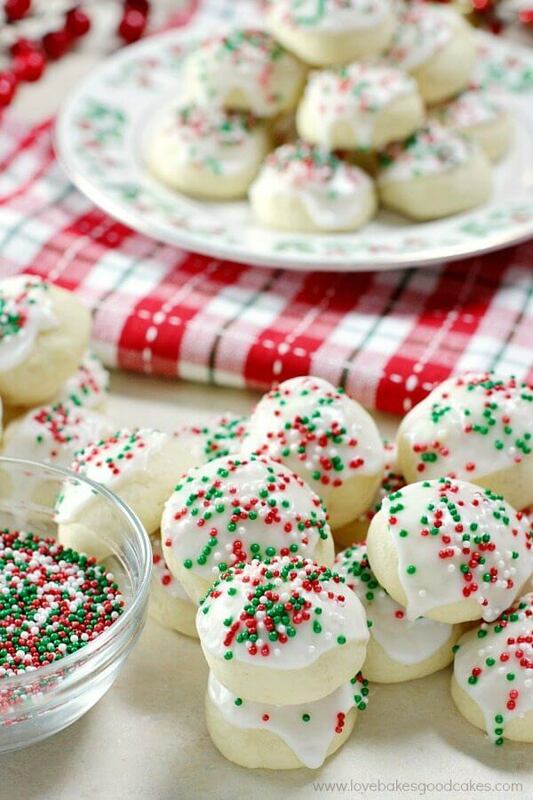 Dip the tops of the cookies in the glaze, and while the glaze is still wet, sprinkle on the nonpareils. Let set until glaze hardens. If you're not really a fan of black licorice, feel free to substitute your favorite extract flavor in place of the anise extract! Thanks for hosting the fun party! Italian cookies are some of my favorite. We have a family recipe… that I'm not allowed to share… boo! They are so good! I love that you added anise, I just might have to try that sometime! Thanks for another great party! I can always use more Christmas cookies 🙂 Love the giveaway too! Happy Happy Holidays! My favorite cookie is Chocolate peppermint cookie. I love the combination of both of those flavors together! Thanks for the SWEET party Jamie! Merry Merry! My favorite cookies are Russian Teacakes. 🙂 Your cookies look delicious Jamie. I am one of those licorice haters, but they look so festive!! I made something similar the other day, with two differences, mine are lemon and yours ARE MUCH PRETTIER! 🙂 You are right anise is something people either love or hate, I used to be a lover until I had a bad Sambuca experience in my twenties and still to this day, I can't even smell that kind of odor! Great job on the cookies! They look phenomenal! I've never heard of anise extract, but I bet it adds a wonderful flavor! Perfect cookie for this time of year, hope you have a terrific holiday! Good morning Jamie, I love your Italian Anise Cookies recipe. My sister-in-law makes them every year and I enjoy them with a cup of tea. 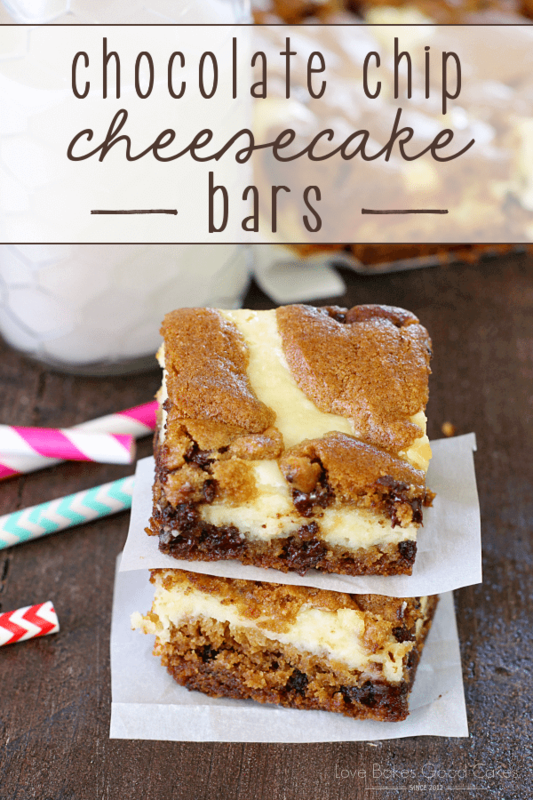 I'm pinning and sharing, thanks for sharing with Foodie Friends Friday Christmas Party this week. I love anise, and these look really good! Reminds me of my childhood! Great photo! I love frosted sugar cookies. Love the giveaway! My favorite holiday cookies is sugar cookies, with lots of frosting. 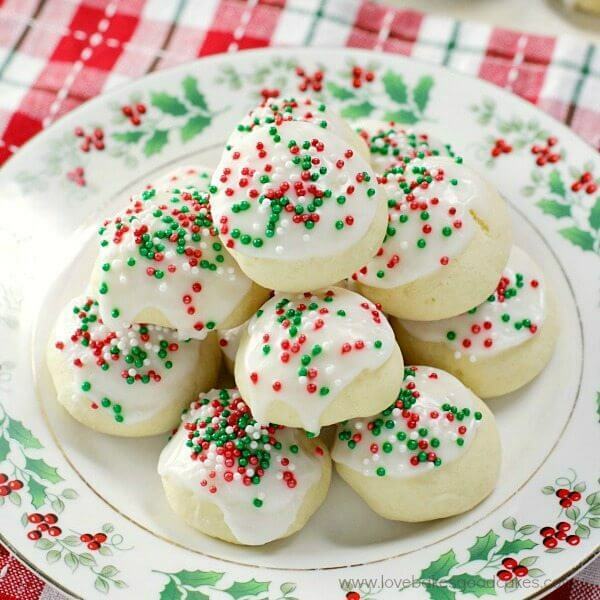 My favorite holiday cookie is rolled out sugar cookies, with lots of frosting. Homemade sugar cookies with a tiny bit of frosting are my faves! My favorite holiday cookie is buckeye balls! My makes these cookies every year. They are fantastic. Thanks for bringing them to foodie friday, Merry Christmas. I love soft gingerbread cookies! Thanks for this great giveaway! Your cookies look delicious, Jamie thanks for sharing at Foodie Friends Friday! I'm not wild about anise but my guys love it. These little cookies are adorable. Thank you for linking. Hope you had a nice Christmas. Happy New Year! 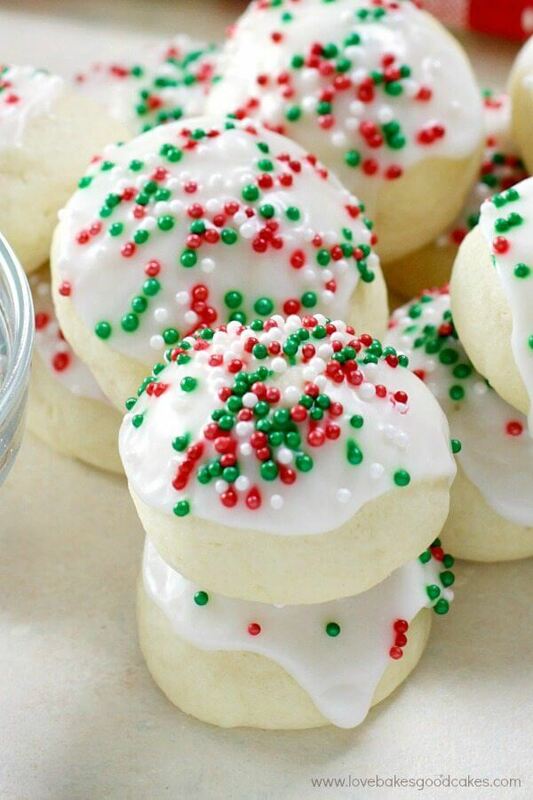 These look like the perfect little Christmas cookies, and I love that you can swap out the flavor! The possibilities are endless! 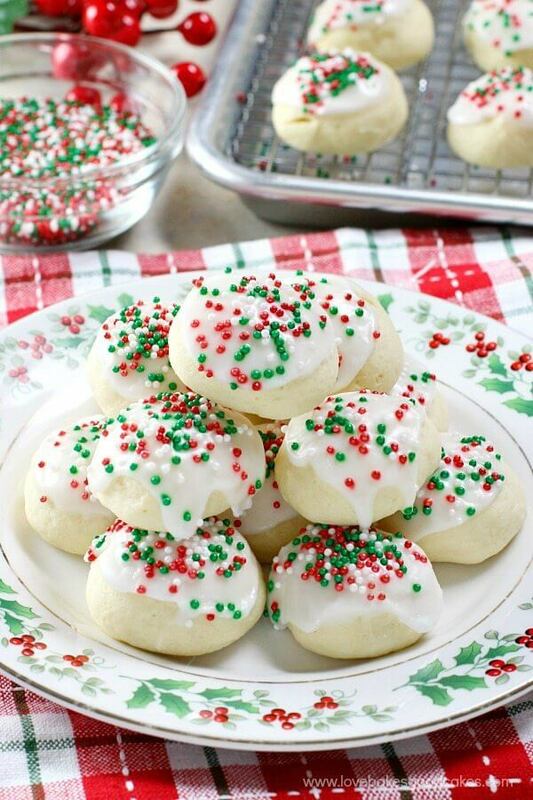 These look like the perfect holiday cookies, Jamie! I'm a big fan of anise so these cookies are a must have for me! Thanks for the idea, can't wait to try them! Just made these cookies yesterday with 3 granddaughters. Two chose almond flavoring and one chose lemon. All were good. My Italian mother made hers with anise, but, since most of us weren't fond of that flavoring, she would use anise seeds and lemon extract. Those were good!!! I made these for a cookie exchange. So easy and so good. thank you for a great recipe. These cookies are the best Little Italian cookie!!! I have made them several times over the past couple of years and everyone loves them and can’t get enough. I have to bake several batches each time. Thanks Jamie!